* not TOTALLY tested, but almost? This looks delicious. 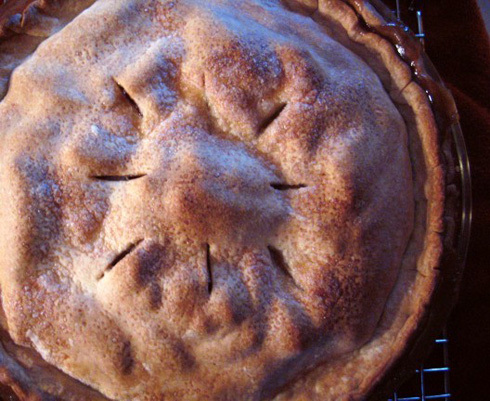 I’ve been wanting to make an Apple Pie. I’ll make yours! One question re: whisky. Ingredients say “1T whiskey” but then the directions say “pour in whiskey 1T at a time” – should the excess T’s go into a glass to drink? *okay fine, not tested at all. Whenever baking or cooking, you may want to consider pouring a little extra in a glass to drink. In this case though, I meant that the whiskey mixture (which was done one step earlier and included the whiskey, water, and vanilla) should go in one T. at a time. Sorry for the confusion! And, let me know what you think of the pie.